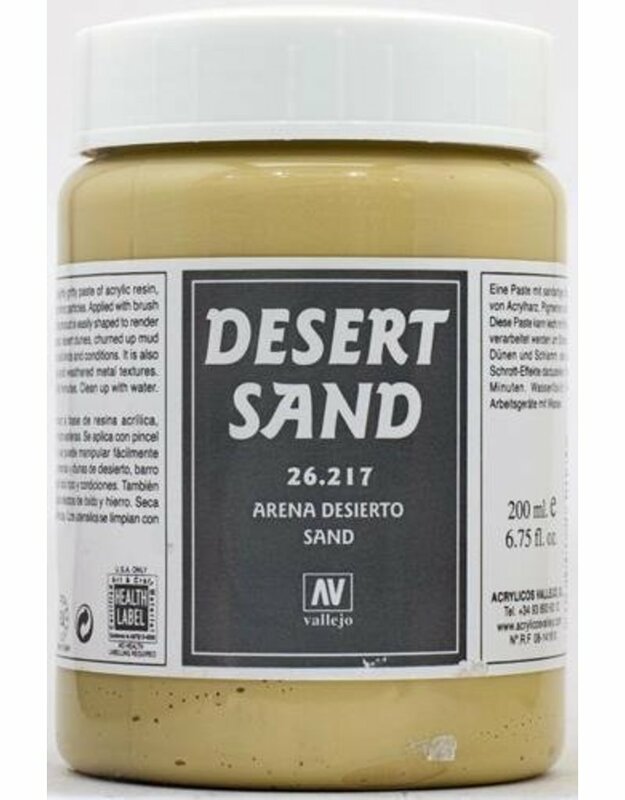 Desert sand is an acrylic paste with a gritty texture, that dries solid, and is suitable for creating a stone effect on bases and such. It mixes readily with other Vallejo Texture products, or thinned with water. Vallejo Diorama effects equips hobbyists with the tools to create beautiful scenery and model effects, from realistic water features to simulating natural weathering techniques and building up layers on your gaming tables!